Japan is a country of hayfever sufferers. The cedar and cypress trees that cover the mountainsides and its concrete-heavy urban centers make for a perfect storm of pollen each spring. As pollen blows in from the mountains it circulates through the cities, making early spring miserable for about 1 in 5 people in Japan. Of course, with so many people suffering, Japanese companies are competing heavily to provide the best anti-hayfever products out there. This is why many hayfever sufferers all over the world look to Japanese products to get through the day! 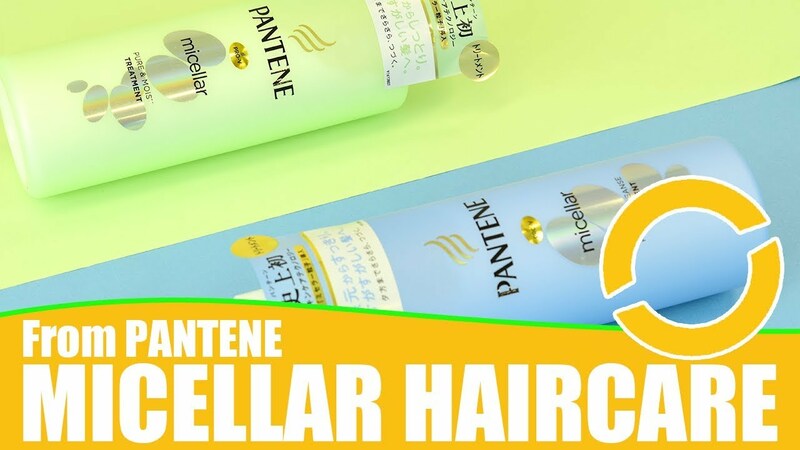 Today I’ll introduce seven unique and popular Japanese products for hayfever. 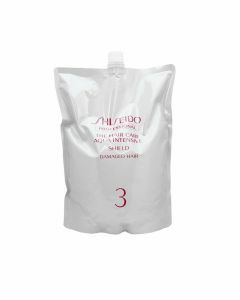 Aller-Screen is a part of IHADA, Shiseido’s range for sensitive and troubled skin. 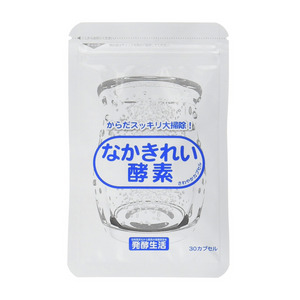 IHADA Aller-Screen is a gel type veil that you can apply around your nose and eyes. Its is formulated with a patented “transparent ion veil” and the newly-developed Aller-Screen Gel EX to form a transparent veil that blocks pollen and other irritants. Just a quick coat around the nose and eyes prevents pollen, PM 2.5, and viruses from attaching to your skin. Another key feature is that IHADA Aller-Screen is white in color when you apply it, but turns clear as you spread it over your skin. This means it’s easy to see exactly where you’ve applied it. The gel type formulation spreads easily around your delicate eye and nose area, and has a refreshing watery feel on the skin. 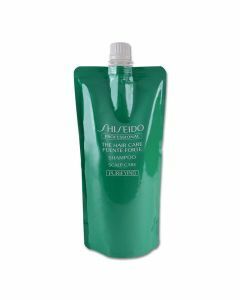 This gel comes in two fragrances: pure orange, and eucalyptus mint that has a cooling sensation. Both are formulated with natural essential oils. IHADA Aller-Screen is suitable for those six years and up, is paraben free, and has been allergy tested. 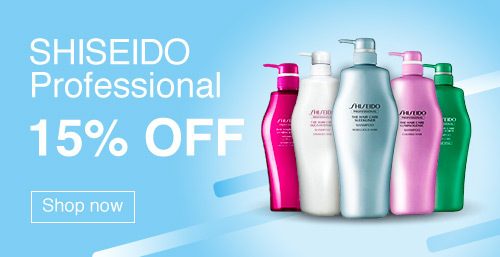 The Shiseido d Program Allbarrier line is a four-item line of skincare that protects from allergies! These products feature an allergy barrier technology blocks pollen, dust, and other environmental irritants. If you suffer from allergies, this is a great way to incorporate protection into your regular skincare and makeup routine. It’s like wearing an invisible mask! The d Program Allbarrier Essence BB is a tinted makeup base that can be worn on its own for a natural look. It comes in two shades: light and natural, and also gives SPF 40 PA+++ protection. An un-tinted d Program Allbarrier Essence is also available, with the same SPF and pollen protection, which is gentle enough to even be used for babies. For more intensive hydration, choose the d Barrier Allbarrier Cream. This is also safe for use of on all ages, and can also act as a makeup primer. Finally, d Program Allbarrier Mist won the Best Finishing Mist on @cosme in the first half of 2018, and is great for maintaining a protective barrier all day long. This dual-layer mist features a blend of oil and water based hydrators to protect from pollen, moisturize, and protect your makeup. I covered Pitta Masks in more detail in a recent article, but it’s a good one to bring up again if you like to wear a mask to help protect from pollen. Made with a comfortable polyurethane material and a stylish design, these washable masks are a great choice for kids and adults alike. They filter out 99% of the pollen in the air, but are soft, comfortable, and highly breathable. Read more about Pitta Masks here! Released late last year, Azes Breath Mask was developed in collaboration with textiles faculty at Shinshu University. The Breath Mask is a cutting edge-mask that uses a unique textile technology not available in any other mask. This filter textile blocks pollen, PM 2.5, and even tobacco PM 0.7 particles. Its multi-layered design offers high performance filtration, excellent breathability, and even anti-bacterial function thanks to nano-capsule silver. This silver also helps keep the mask feeling fresh all day. One other great feature about the Breath Mask is its special kids design. Its wide, wrap-around straps are quite unique in how comfortable and secure they are. After all, if your child suffers from hayfever, you don’t want to add any more discomfort to their day! These are a great choice to help give them some relief from pollen exposure. Plus, this unique design are comfortable enough that your little one will be happy to keep it on. 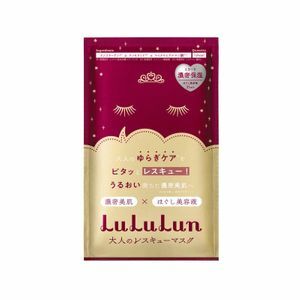 If your hayfever results in dry and irritated nose and throat, the Kao Megurism Steam Mask is a great way to get a good night’s sleep, or as a pick me up during the day. These self-heating masks warm to a comfortable 40 degrees celsius, releasing gentle steam to soothe and hydrate irritated areas. With wide, comfortable straps, a 3D design for breathability, and a gentle lavender-mint aroma, these are a calming and soothing way to relax and look after yourself as you soldier on through the hayfever season. A smaller size is also available. 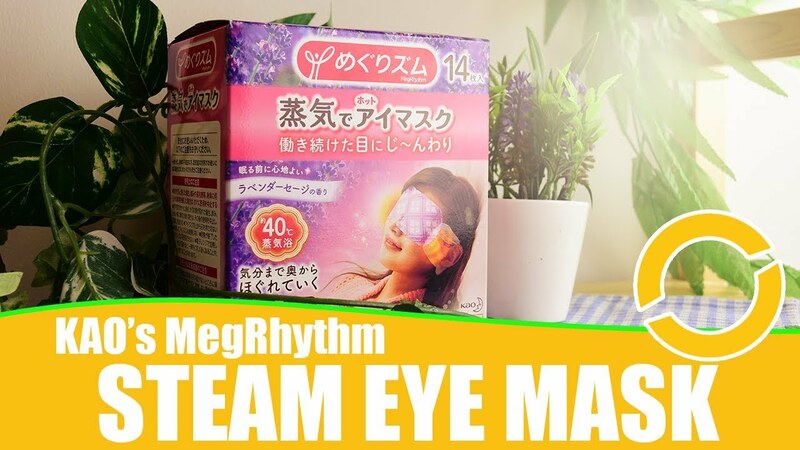 The Megurism range also features a very popular range of self-heating eye masks and warming steam patches for stiff backs and shoulders. As someone who is in a permanent state of tension from the shoulders up, I recommend them all! Is there anything worse than that point in hayfever season where regular tissues start to feel like sandpaper? If you can relate, I highly recommend checking out Hana-Celeb tissues. These tissues are formulated with botanical squalane and other moisturizing ingredients for a very soft, moisturizing feel. These tissues have been recently reformulated to be even more hydrating. I don’t know how, but somehow they’ve managed to get cream moisturizer in there as well. All I can say is that if you pick one up you’ll know what I mean when I say these are worth the extra price! A little anecdote: in Japan, companies often hand out small packs of tissues instead of regular fliers. The other day, I was handed a pack by an enterprising worker who was declaring to everyone who walked by that the tissues in the pack were Hana-Celeb! That actually seemed to get people’s attention, which gives you a sense of how popular the brand is. If you want to know more, check out Seungmi’s detailed article about the full Hana-Celeb range, including their masks! AG Allercut is a medicated nose spray that helps treat the symptoms of hayfever. This over the counter product is designed specifically to give relief to hayfever symptoms. It can help with blocked or runny noses, sneezing, and other irritations. Just spray once in both nostrils twice a day for all-day relief. If you don’t like to wear masks, or you live in a country where wearing one will get you weird looks, this is a great option! Three types are available: a cooling menthol type, a moisturizing type for dry noses, and a fresh type for stuffy noses. 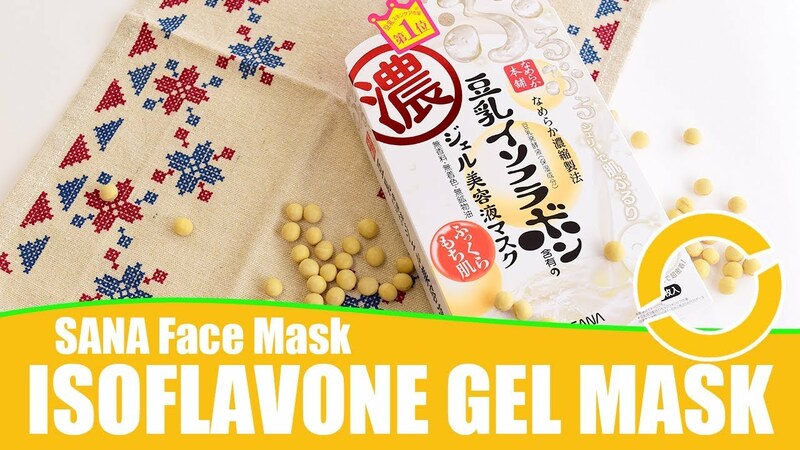 And that’s it for our picks of the best Japanese products for hayfever! Wherever you are in the world, I hope you’re taking care of yourself! If you need any help with choosing Japanese products, get in touch with us at Wonect anytime. Previous story Your 2019 Fancl Skincare Guide!